There are a ton of nail polish boxes out there these days. I think I know of at least 15, which is just wacky! If you're not familiar, nail polish boxes usually feature several different brands in one box and those polishes are usually exclusive to those boxes. It's a cool idea but often you only want one polish in the box and are forced to either forgo the purchase entirely or buy up to seven other polishes that you'll probably never wear just to get that one coveted lacquer. It's dangerous territory for us nailphiles. However, you can also sometimes split the box with another nailphile or find the polishes second-hand. Problem solved! 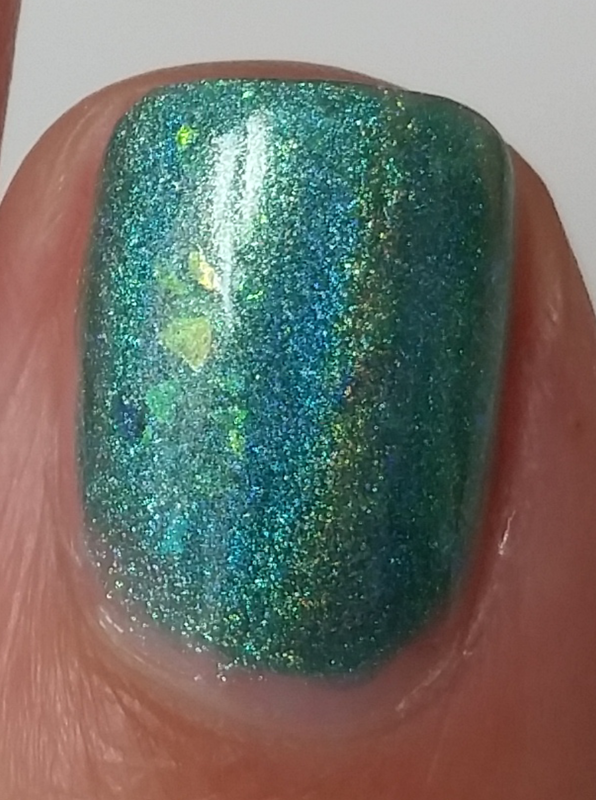 Such was the case with this particular polish from The Holo Hookup Box (a monthly box featuring three mainstay brands and one guest brand). Cupcake Polish's From Cancun with Love was from the May box and while I missed it at the time of pre-ordering, I managed to find it second hand. 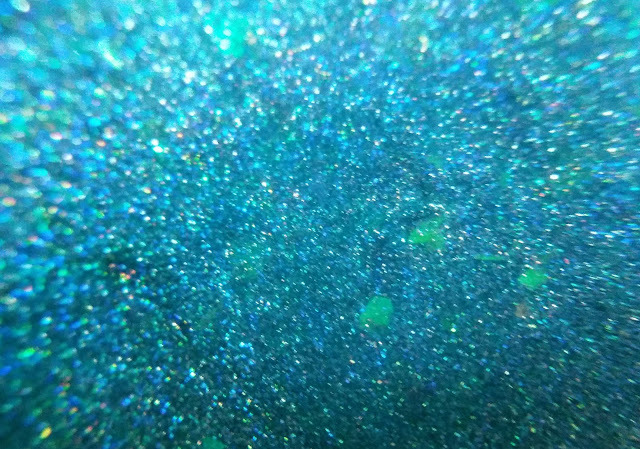 This is an aqua/turquoise linear holo with iridescent flakies. I love how the flakies are picked up in different lighting - they definitely make this polish. I am wearing two coats with top coat. Great formula. Flawless application. After wanting this polish so badly, I have to admit I didn't love it on my nails. I will probably pass it along to another nailphile who, like myself, missed the box and still wants this pretty (just not on me) polish. Cupcake Polish can be purchased here. The Holo Hookup Box can be purchased here.